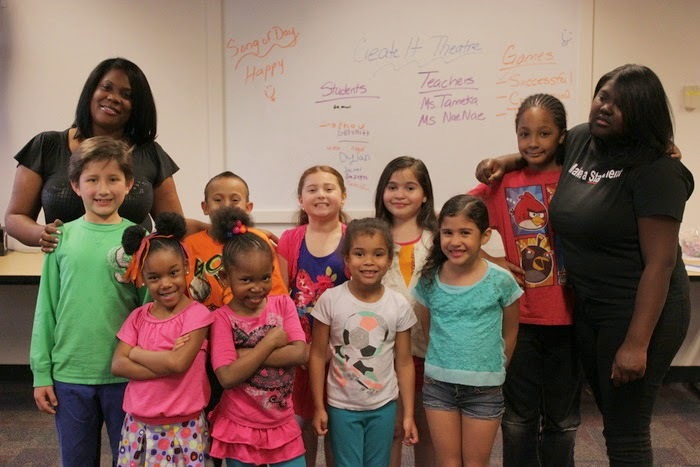 The CO-OP is a creative theatre-based program that enables youth (ages 5-14) to create their own production through interactive stories and games. The youth creatively put together stories to make characters come alive. Because it is totally from their imagination and creativity, the youth can modify characters as the production goes along and add more of their own personality. The CO-OP was inspired by the popular creative theatre program, used by hundreds of young people (ages 5 and up) around the world. In creating the CO-OP, they redesigned the creative process of the theatre program and added more language to make them developmentally appropriate for all ages, carefully designing creative games to match each age children’s cognitive, personal, social, and emotional development. The Co-op has one rule which is to deliver excellence because anything less would be unacceptable and anything more would be unrealistic.